Land registration in Nigeria: 12 Importance and advantages of land registration - Law Firm in Nigeria - Lawyers in Nigeria. In the absence of any other better title to the land, your registered title is proof of ownership of the land and makes the land marketable in your favour. If you want to sell your land, all you need is to show the prospective buyer the Registered Title and would not have to produce any other proof of ownership. 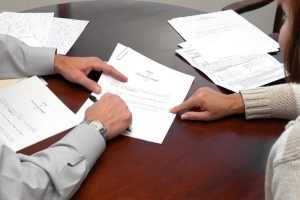 The buyer does not have to peruse any other complex legal documents to prove your ownership. If you have an unregistered land, you will not be entitled to receive compensation from government in the event of a compulsory acquisition of the land for overriding public interest. The government will only pay compensation to landowners with validly registered title deeds upon presentation. Your unregistered land is at the risk of fraudulent sale and trespass, whereas, a registered land is insured against the fraudulent sale and illegal encroachment. A registered title offers you a sense of security and peace of mind whether you are in actual possession of the land or you reside abroad. By a simple search conducted at the Lands Registry, future prospective buyers will become aware that the land belongs to you. And if you want to sell, prospective buyers will be assured that there will be no adverse claims over the land as you are the registered owner. Since the copies of your title deeds are stored at the Lands Registry, you can always apply and obtain the certified true copies of your title deeds where the originals are lost, misplaced, forged, stolen or destroyed by fire or water. It can be very difficult to prove ownership and execute a sale in the future if you don’t have any title documents to show. Registration ensures transactions affecting the land is traceable and records are kept at a central unit. Registration of title ensures certainty and simplicity in land transactions. The register provides a clearer picture of the legal state of the land by setting out the rights and covenants which benefit or burden the title in question. A registered title reveals your interest in the land and puts every prospective buyer on notice upon the buyer’s investigation at the Lands Registry. Registered title deeds can be deposited with moneylenders and financial houses as collateral for a secured loan. Financial institutions and individual lenders will want to see proof of your registered title to the land as a condition precedent to giving a loan. Your registered title constitutes evidence of title and makes is cheaper and easier to review and transfer title in the land, meaning that any future transactions will be dealt with faster and more efficiently whether to a subsequent buyer or to your heirs and personal representatives after your demise. A registered title to land gives a quick up-to-date official record of who owns the land and prospective buyers do not have to do any research as to the history of ownership of the land. The Register Book at the Lands Registry is a public record. A registered Title has: (a) the name of the current owner, (b) the location and description of the property, (c) restrictive covenants that restrict how owners can use the land, (d) easements (for example a right of way) that affects the property, outstanding mortgages, charges or (e) caveats or warnings that affect the property. Registration is your notice to the whole world of your interest in the land – and that the land is encumbered by you. Any subsequent purchaser would be duly notified upon investigating the title at the Lands Registry. A registered land tends to have increased market value because title documents are deemed to be genuine and the risk of boundary disputes is reduced. The land title documents can also be made readily available as security for bank credit. 10. Reduction in Land disputes. Registration makes clear the identity of the landowner whether the owner is in actual possession of the land or not. This has the effect of protecting your rights over the land, preventing activities of land speculators, preventing the fraudulent sale and other peculiar controversies affecting land. Your registered instrument rank in priority according to the date of registration (1st in time is stronger in law). For instance, where conflicting title documents are brought forward in a court hearing, the ownership of land will be determined by the first documents to have been registered at the Lands Registry. Your title documents must be registered before it can even be admissible in evidence, otherwise, they are void in law. 12. Protection from Adverse Possession (Squatting). A registered land provides protection against adverse possession by an unauthorized occupier (i.e. someone squatting on your land and later making a claim that he is now the rightful owner of the land). Under the Land Use Act, it is mandatory that the purchase, sale, transfer or alienation of any interest in land must be “perfected” by way of (1) stamping of the title deeds (2) registration of the title deeds (documents) and (3) obtaining the governor’s consent before such transaction may be deemed to be valid in law. The only way you can protect your land from future controversies, disputes and problems are to register your land or real property. 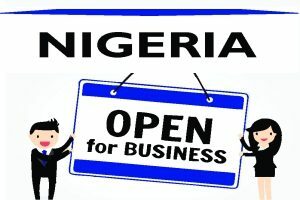 The legal procedures for dealing with land registration in Nigeria are cumbersome and sometimes very complicated. A solicitor can help review your title deeds and advise if such are registerable. If you are unsure whether your land or real property is registered, or you want to deal with land registration; you should seek proper legal guidance and help from a real estate Solicitor. Request consultations at +2348187019206, 08039795959 | Email: edoabasi.udo@lexartifexllp.com | Website: www.lexartifexllp.com. The permission given to freely copy this article is only on the condition that BARR. EDOABASI UDO is referenced and duly acknowledged as the Author using the following format: “This article was written by Barr. EdoAbasi Udo. View the original article at http://lexartifexllp.com/land-registration/”. Note that any copyright infringement shall be punishable under applicable law.